Eating three meals, getting chocolate and shopping in six hours? 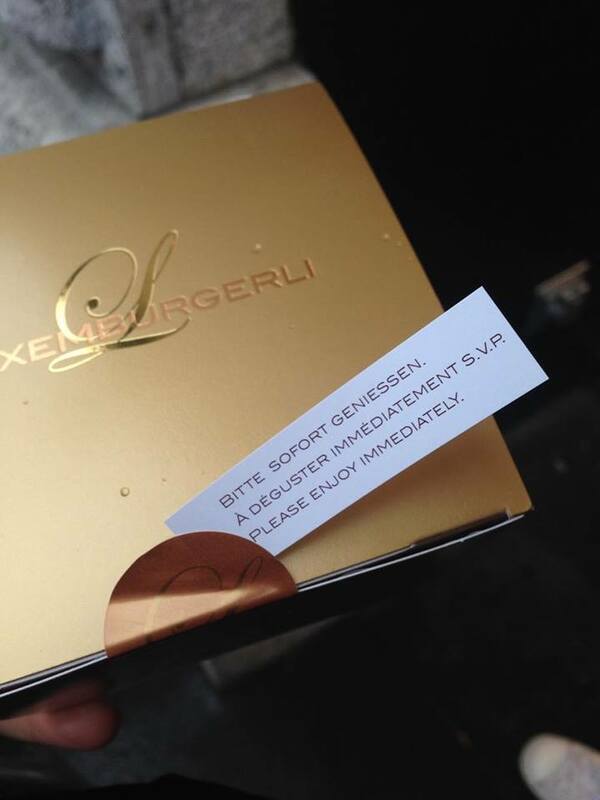 Grüezi Zurich! 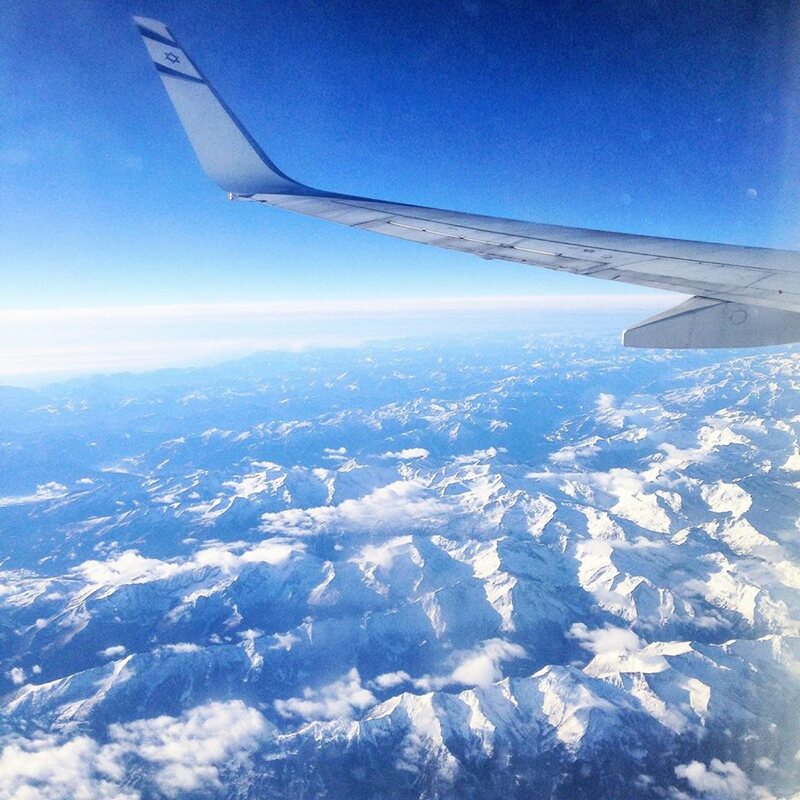 Zurich in six hours… seems impossible right? If you think getting things done in six hours isn’t possible, think again. I had time to get off a plane, take a train to the airport, a bigger train to the city, visit Zurich, eat, shop and head back to the airport for my next flight to Cannes! Grüezi Zurich, you were amazing! 7th of January, -15 degrees and my cousin and I walking through a city we’ve never been to before under the snow and the rain. 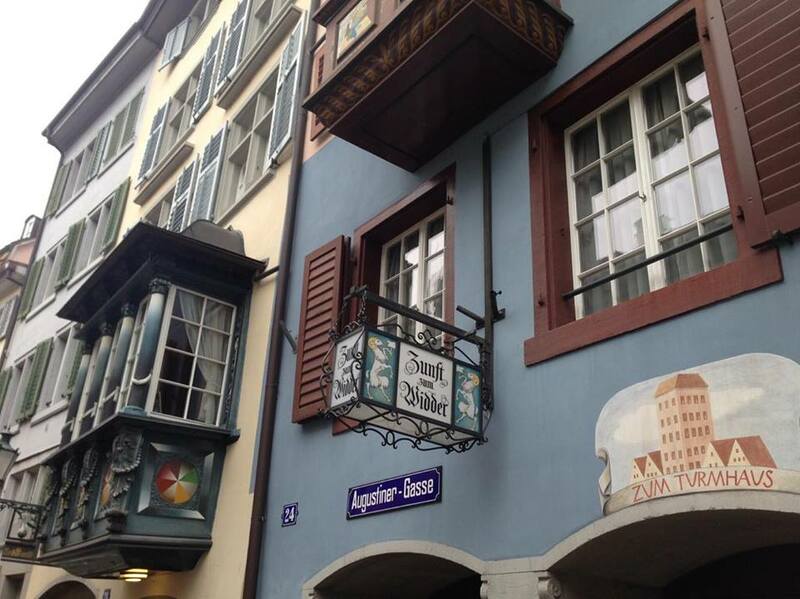 All the buildings around me looked so cute, so swiss! The street names were pretty hard to pronounce and that’s why we decided to just adventure ourselves into the city and forget about the words we couldn’t even read. 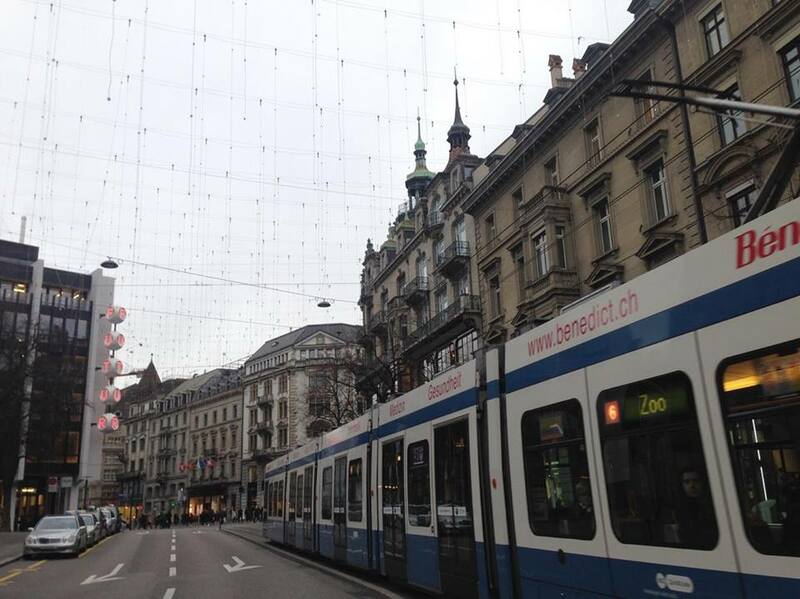 Zurich has trams in the inner city that bring you anywhere you go, I think it’s something every city should have. Since we were visiting right after Christmas, the lights and the decorations were still up on the lamps and trees as you can see in the pictures above. First stop, getting something to eat since we didn’t get anything in our stomach since the night before. We headed to a bistro that had a bit of everything on the menu. I got a curry chicken with rice and my cousin, Salome, got bread and cheese, very Swiss and she loved it! 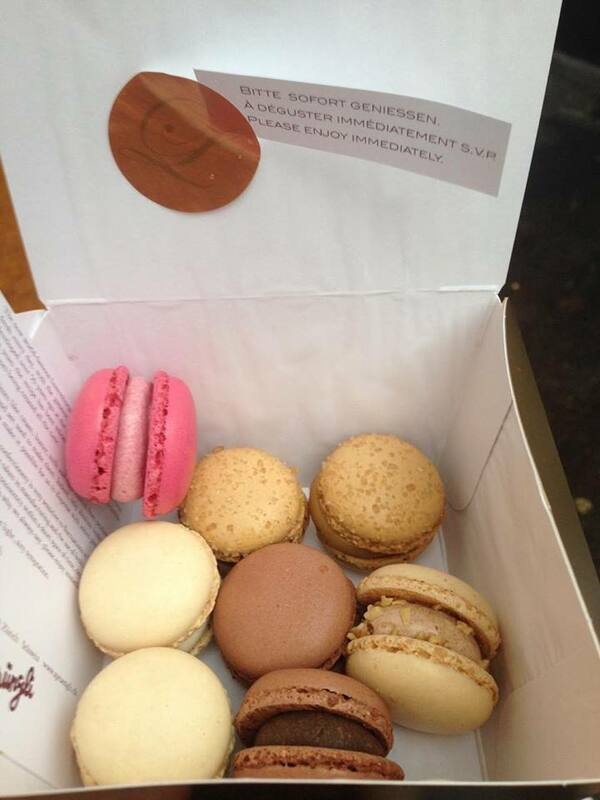 We then headed to Sprüngli, the famous chocolate shop where the mini macaroons are a must! We got 8 of them and finished it in less than a minute, es isch mega fein gsi (it was too good)! 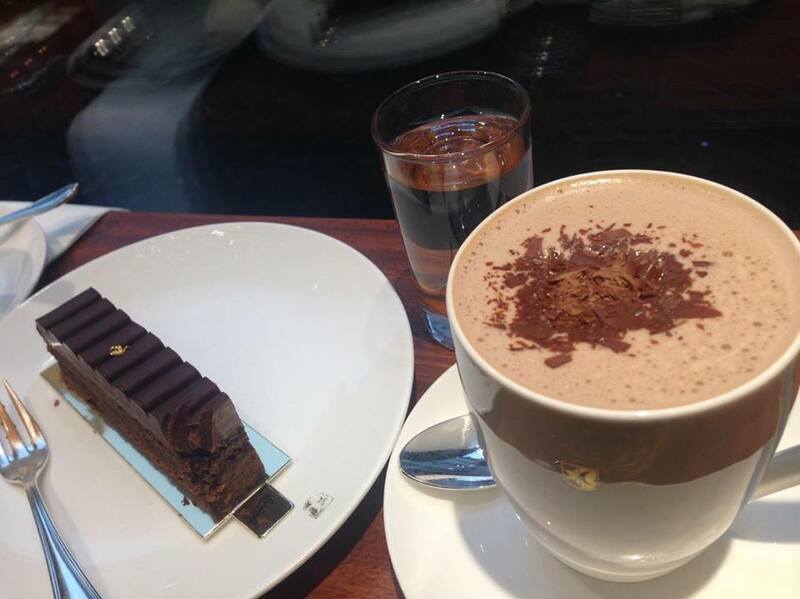 And after walking under the rain an hour or so, we decided to sit down at another Sprüngli shop, because we are that obsessed and ordered two hot chocolates with a chocolate cake, we just couldn’t resist! 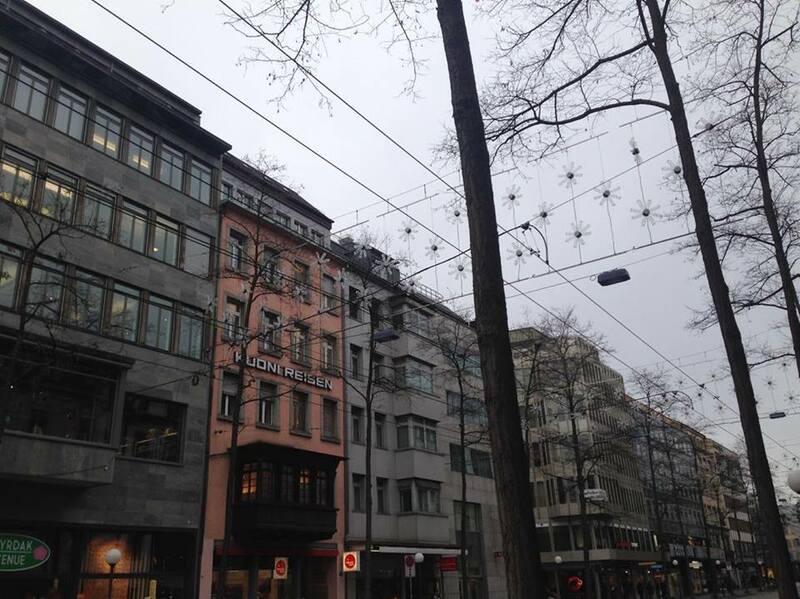 Thoughts on Zurich: If you are heading over there during winter, don’t forget warm clothes. 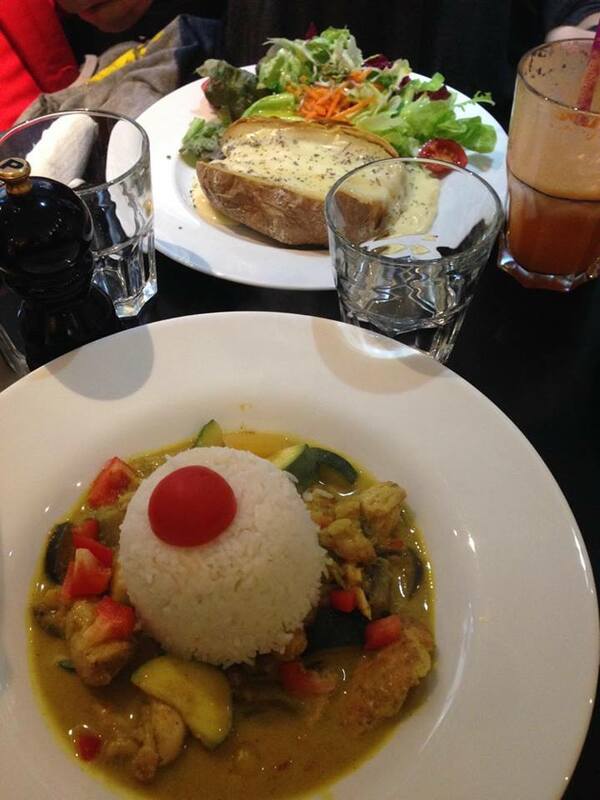 However, the amazing food they have there will make you forget about the bad weather! You will be surprised on how people are charming and pleasant to speak to, they will always make you feel special! 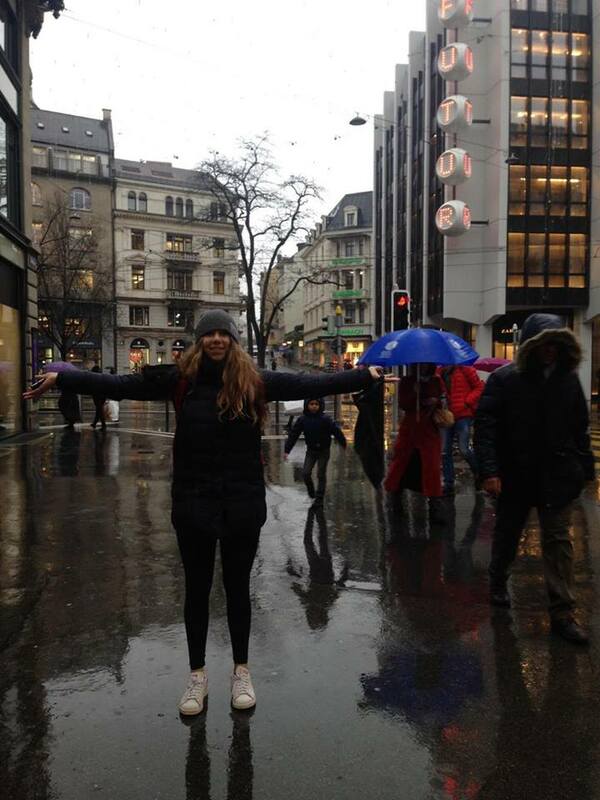 I will be back soon Zurich! 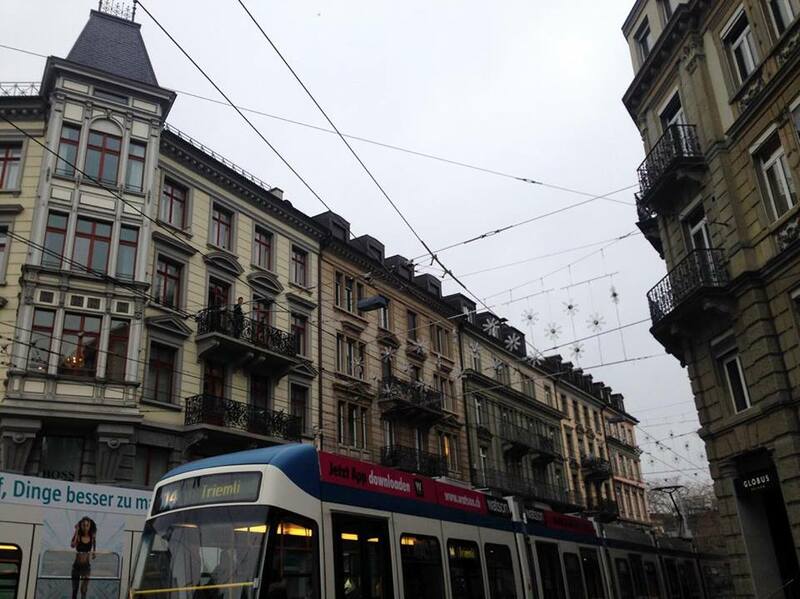 I really like the photos, Zurich can be really cold I’ve not been there but I’ve been to neighbouring country is like Austria and Italy in the winter. I really like this blog post thanks for sharing it was informative and I’m glad you got so much done in such a short time. 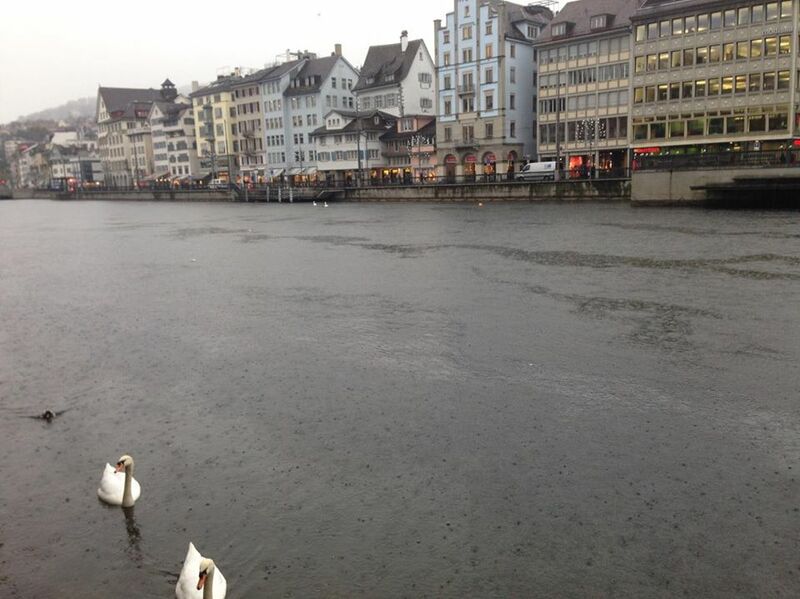 Would love to visit Zurich! But for now photos and posts has to do. This article really admired me to vist this beautiful place.. I have been to Zurich but only for an hour or so, I would love to see more of it . Thanks for sharing this! Sounds like you had a busy day. Your time management is on point lol. Great pictures too! I’d must check with you here. That is not one thing I typically do! I take pleasure in reading a post which will make men and women feel. Also, thanks for permitting me to comment! Hey! I just wish to give an enormous thumbs up for the nice info you could have here on this post. I will be coming again to your weblog for extra soon.